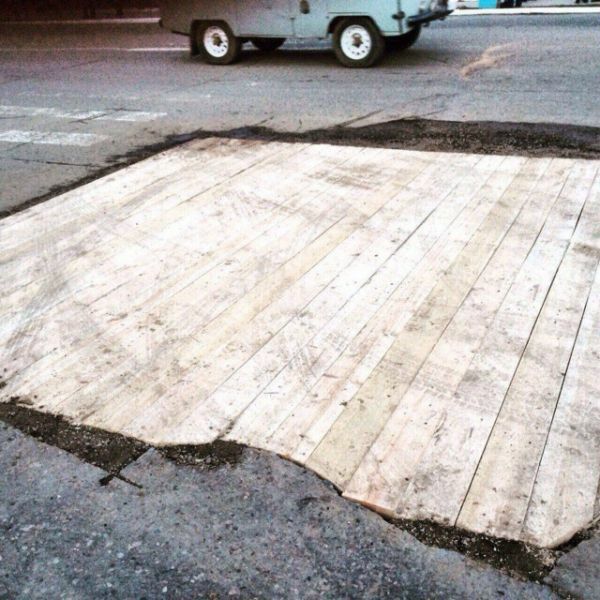 In the Krasnoyarsk region asphalt is replaced by wood. Seems legit. 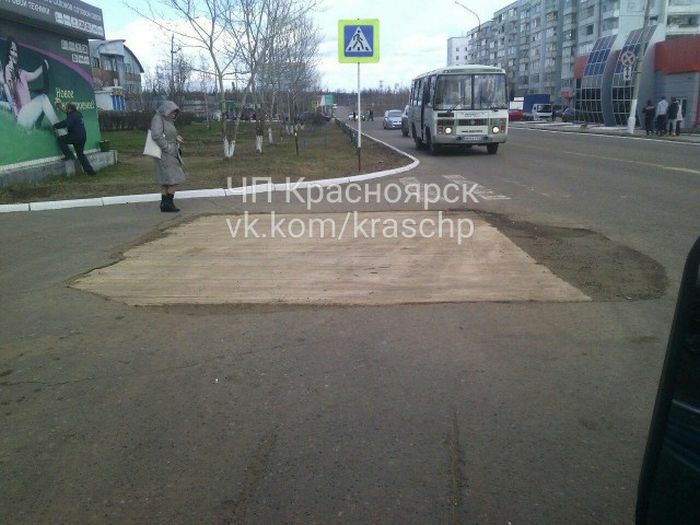 If it works it isn't stupid. Valid until the first rain.